Our first episode of THE SOURCE podcast features New Zealand triathlete, Terenzo Bozzone. Bozzone has accumulated 37 international titles already in his career, including course records at the the Wild Flower 70.3 and New Zealand Ironman. After a 6th place finish at the 2017 Ironman World Championships in Kona, Bozzone went on to win 5 out of his next 7 races in a streak that included 5 victories in a row over both the full Ironman and 70.3 distance. While training on his bike in New Zealand last July, Bozzone was struck by a vehicle in an incident that derailed his chance of a podium spot in Kona. 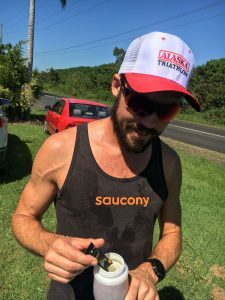 Now on his way back to full-fitness, we spoke to Terenzo at the end of 2018 to discuss the accident and his come-back, his 5 consecutive victories, advice for both beginner and experienced triathletes, what he thinks he could run for a marathon outside of triathlon, doping in sport and more. Listen on Apple Podcasts by clicking on the link below and be sure to subscribe. For the full transcript of the interview, click here. Expires Jan 31. UK & US only. So the final race of the 3-week assault has come to an end. With another successful result I have managed to claim my 3rd win in a row at Ironman 70.3 Campeche in Mexico. The past week was a tough one and included; a long travel day from Argentina, having to shift from freezing conditions to super hot conditions, managing my recovery in an effective way, managing my food intake along with a couple other issues that arose through the week without getting sick or run down. I definitely prefer racing in warmer climates, Campeche was a cool town and had some interesting history with a small number of international tourists, And as I have experienced in other Mexican and South American races, the Latin American fans are some of the best in the world and this contributed to a memorable end to a pretty historic 15days of racing. The race start was at the Campeche country club, which was a beautiful venue. Ruby Von Burg got a small gap in the swim and I shared the load with Kevin Collington trying to limit our deficit and do some damage on some of the stronger bike/runners in the field. Off onto the undulating bike course I soon bridged across to Ruby at the front of the race and at Km 25 when I could see the rest of the fields time gaps I decided that a little bit more heat needed to be added. I soon found myself navigating the remainder of the bike solo. Michael Weiss of Austria who likes the heat and puts together great races in Mexico was 3minutes back with the final 30km and he would work to close this to 2 minutes coming off the bike. The spring in the step was not quite there and somewhat to be expected. I was hoping that it was going to be a scorcher but it was not as hot as predicted and the pace had to be a little quicker. I seemed to manage my pace well through to 10miles and the gap to Weiss had bounced between 2 minutes and 1.5minutes. My legs were still coping okay and I managed to enjoy the final 2 miles home before breaking the tape for my 3rd win over 3 weekends. With a bit of free time this past week I accumulated some of my past results and this was a record Half Ironman victory number 32 (Ironman 70.3 number 27). Fresh off his win at IRONMAN New Zealand, SOS athlete Terenzo Bozzone has taken another victory – this time over the 70.3 distance in Argentina. That was tough! Ironman 70.3 Bariloche in Argentina brought on the hardest of conditions with the start being in 7-degree air temperature and course being relentless throughout the bike and run. I was very happy to run into the town square in 1st place and absorb all the crowds’ energy, absolutely amazing! It has been sometime since I have competed in a cold race and it caught me way off guard. I was roaming around the other pro athletes collecting all the extra gear I could gather for race day, top this off with a hyperthermia blanket underneath my race suit and in my sidi cycling shoes and I was about right for the race. The backdrop for the swim was incredible with the Andes mountain range across the lake. Out of the water there were 5 of us including – Igor Amoreli, TJ Tolakson, Jarred Shoemaker, Daniel Fontana and myself and the race was on to see who could get their arm warmers, gloves and extras on the fastest. This did allow for the group to split up and soon I was at the front of the race pushing the pace through the initial 20km section that included a lot of climbing and technical descents on wet roads. By 30km Igor and Kennet from the US bridged across and unfortunately TJ and the rest of the field were stuck in no mans land and isolated, all riding individually. Thankfully as I kicked out of T2 I still had a spring in my step and managed to gap the other 2. It was a hard course to find any rhythm with either head wind or tail wind and not many flat sections. The crowds through town were very motivational and I grew my lead to 4minutes by the finish. Igor rolled in 2nd and Kennett in 3rd place. I have a long trip across to Campeche, Mexico but I am definitely looking forward to some warmer climates with the forecast for next weekend to be around 36 degrees Celsius… HAHA. One of the major reasons I think SOS works so well for me is that the dominant source of sodium in SOS is sodium chloride. Sodium chloride is how we would naturally consume salt in our diets and because of this the human brain has a terrific way of telling us when we need it and when we don’t. It tastes really good when we are salt depleted, while the chloride component is not as tasty when you don’t need salt. For example, on a Byron Bay humid summer day, I’ll drink 3-4 sachets of SOS per bottle for my hard sessio ns and my taste buds are dancing with pleasure. Ironman New Zealand – What a day. My 10th time toeing the start line down here in Taupo and I was very excited for the race. I had clear objectives of what I wanted to achieve out there, but the main excitement came from my brother Dino tackling his first Ironman. All the pre race talk was about him and his race and my race preparation was secondary. After a long 7-week off-season at the end of the 2017, I finally got back into training in the middle of January and with the short build up in to this race I wasn’t so sure what to expect out there. Tackling a race where I’ve had 10 years of experiences ‘not winning’ I had learned a lot and entered with a lot more patience. The swim felt terrible, I couldn’t wait for it to be over. I was so near my limit that poor Guy Crawford’s feet are probably cut up from me swimming so close to him for the entire 3.8km trying not to fall off the pace. Onto the bike, slowly my body warmed up and my legs came to the party. We had the largest group ever in this race and soon all the big hitters had bridged across including Cam Brown and Joe Skipper who I was not so keen to start the marathon with. By the start of lap 2 a small group of 4 had broken away and we were working well. With 40km to go it was just Skipper and myself at the front pushing to grow the gap on the chasers. In the final 1km my race almost took a turn for the worse when a car turned and cut me off. I must say I was pretty impressed with my bike handling to swerve, slow down enough and save my race and a bad accident. All that training on Auckland roads was paying off!!! Heading out into the marathon my legs felt good… I tested to see where Joe Skipper’s legs were by running the first couple km’s pretty quick, My lead started to extent quickly, but with this being Ironman who knew what awaited me around the next corner. I absorbed all the energy I could from the crowds, the spectators, the volunteers and the other athletes on the course. Alternating water and SOS at one aide station and Water and a Clif Shot at the next helped keep the energy up and stay hydrated. Heading into lap 3 (the last 14km) of the run I was using the rabbits up the road on their first lap to keep my head in the game. The closest was Dino… with his prescribed race plan of running 5minutes per kilometer I was going to catch him in no time. I think he had more interest in holding me off as long as he could, as the closing of the gap took a lot longer than anticipated. It was an amazing feeling running along side him for a kilometer as he was killing it out there. I gave him a few pointers and he gave me a second wind to get home in a new course record of 7:59:57 . 5 minutes in front of skipper and another couple in front of race legend Cameron Brown. Off to Argentina later in the week for Bariloche 70.3 then up to Campeche 70.3 in Mexico before taking a few weeks down time. The hydration of choice for Terenzo Bozzone. It is often said that the Tour de France is perhaps the most gruelling endurance event on the planet. The same is sometimes said about Ironman. We saw in my previous blog that energy expenditure in the Tour de France averages almost 6000 kcal per day for 3 weeks (5). It has been measured that energy expenditure can be as high as 9000 kcal per day. How does this compare to other sports? Is this really the most extreme sport? Is it Ironman… Or is there another event? In the literature we can find energy expenditure values for a number of events and I have tried to find the highest values for energy expenditure in the literature. If someone knows of other papers that report extreme values please let me know and I will update this list. There is a report of a male distance runner covering ∼100 km/day for 1,000 km (1), He averaged around 6,000 kcal/day. There is also a report of a team of elite cyclists expending 6,500 kcal/day who covered nearly 4,900 km in 6 days during the Race across America (RAAM) (3). Similar values were also reported in cross country skiers during intense training (6,000 kcal/day) (6). Dr Mike Stroud, a Polar explorer and researcher, measured energy expenditure in man-haulers over several polar expeditions during the 1980s and 1990s (7). Before these studies the very high energy costs of polar travel on foot appreciated. During a modern-day, one-way expedition to the South Pole that repeated Scott’s route (“Footsteps of Scott expedition”), an average of 6,000 kcal were expended every 24 h. Mike Stroud himself together with Sir Ranulph Fiennes crossed Antarctica by foot and expended on average nearly 7,000 kcal/day. During this crossing there was a period of approximately 10 days, while ascending to the plateau, during which they averaged nearly 11,000 kcal/day). A recent study by Dr Brent Ruby and Colleagues (4) compared measurements at Ironman Hawaii (2.4 mile swim, 112 mile bike and 26 mile run (3.8km; 180km and 42km respectively) and the Western State 100 (a 100 mile (160km) ultramarathon). Energy expenditure during the Hawaii Ironman averaged 9,040 kcal (plus or minus 1,390 kcal). In the Western State energy expenditure was as high as 16,310 kcal (plus or minus 2,960) but of course the duration of this event was more than 24 hours on average (26.8h). It is clear that daily energy expenditure can be much higher than the reported average of 6000 kcal per day for the Tour de France cyclist. Values can be even higher than the extreme values reported during the longest and hardest days in the Tour. 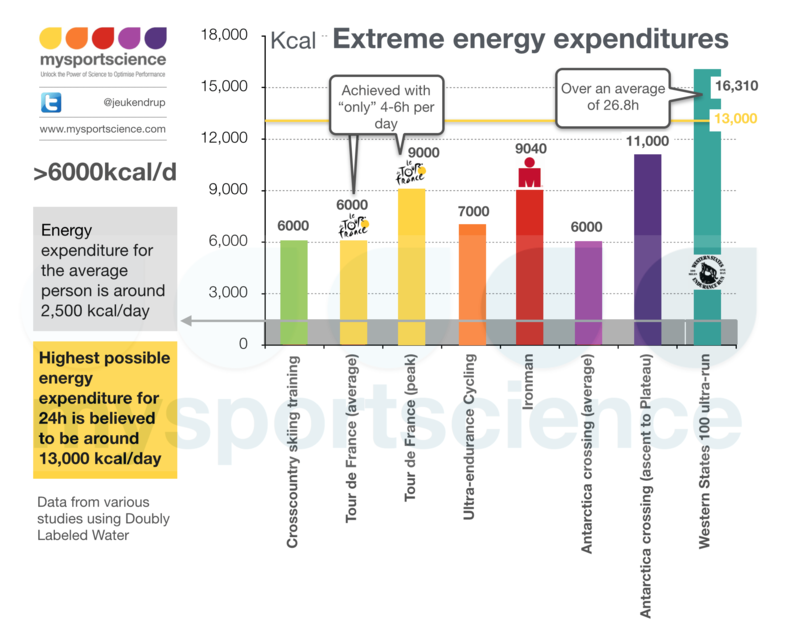 What make the Tour de France unique though is that these extreme energy expenditures are achieved within 4-6 hours of racing per day and also that this is sustained over a period of 3 weeks. Most other sports with extreme energy expenditures achieve their high numbers by exercising more hours per day at a lower intensity and sometimes by eliminating sleep. Which is the most extreme sport? Difficult to say… would you rather do a day in the Tour than a day crossing Antartica, or running a 100 mile race in the heat without sleeping? 1. Eden B, Abernethy P. Nutritional intake during an ultraendurance running race. International J Sports Nutr 4: 166–174, 1994. 2. Gabel K, Aldous A, Edgington C. Dietary intake of two elite male cyclists during 10-day, 2,050-mile ride. Int J Sports Nutr 5: 56–61, 1995. 3. Hulton A, Lahart I, Williams K, Godfrey R, Charlesworth S, Wilson M, Pedlar C, Whyte G. Energy expenditure in the race across america (RAAM). Int J Sports Med 31: 463–467, 2010. 4. Ruby BC, Cuddy JS, Hailes WS, Dumke CL, Slivka DR, Shriver TC, Schoeller DA Extreme endurance and the metabolic range of sustained activity is uniquely available for every human not just the elite few. Comparative Exercise Physiology, 11(1): 1-7, 2015. 6. Sjodin A, Andersson A, Hogberg J, Westerterp KR. Energy balance in cross-country skiers: a study using doubly labeled water. Med Sci Sports Exercise 26: 720–724, 1994. Follow professional Ironman Triathlete Sarah Piampiano on her journey to Kona. In this video, Sarah takes us behind the scenes of how she plans and executes her nutrition plan, and explains why it her changes have been so important. Trust the process… Trust the plan. Anyone who has suffered from a muscle cramp during or after exercise understands that it’s definitely something worth trying to avoid. For those who have been lucky enough to evade them, a muscle cramp is a sudden, involuntary, painful contraction of a muscle. These symptoms generally ease off within seconds to minutes but are often accompanied by a palpable knotting of the muscle. While magnesium does play many important roles in the body, unfortunately the prevention/reduction of exercise-induced muscle cramps is not one of these. It is easy to be confused considering the heavy marketing for magnesium supplements and the prevention of cramps, but to date the scientific research suggests that there is no strong link between exercise-induced muscle cramps and magnesium supplementation. While oral magnesium does not appear to have any beneficial effects in athletes with adequate magnesium, supplementation may improve performance in individuals with a diagnosed deficiency. Those undertaking a high volume chronic training load (e.g. long distance runners) or those with a restricted energy intake may be at risk of magnesium deficiency, although this is not common and you should always get this checked out with your GP before supplementation. It is worthwhile noting that the intestinal absorption of magnesium varies depending on how much magnesium the body needs. If there is too much magnesium, the body will only absorb as much as it needs. So how much do I need? I hear you ask. The recommendations suggest that adults consume a range between 350 and 400 mg/day as the upper limit. Most individuals who are eating a healthy well balanced diet will be acquiring the required amount of magnesium through wholefoods. Good food sources of magnesium include vegetables, legumes, fish, nuts and whole grains. For example, 30g of brazil nuts provides ~100mg, and ½ cup cooked quinoa provides ~50mg of magnesium. Ok, so what does cause cramps and what can I do to avoid them? What we do know about cramps is that the main risk factors include; family history of cramping, previous occurrence of cramps during or after exercise, increased exercise intensity and duration, and inadequate conditioning for the activity. This explains the classic example of cramping on race day. During a race you’re typically working at a higher intensity than normal, and often over a longer duration than during training. From a nutrition perspective, glycogen depletion (insufficient carbohydrate) or low energy availability can also contribute to fatigue and therefore cramping. This highlights the importance of getting your nutrition and fuelling plans for long sessions and races spot on. We all know a fast-food competitor, the person who, despite using a drive-through burger after training as their version of quick recovery nutrition, continues to run well. This same person is likely to take vitamins and other supplements because they know their nutrition is below average. Those who prioritise optimising their nutrition as part of their training regimen simply shake their heads at this attitude, while others might copy the practice thinking it will deliver them the same results! “A good diet will not make a mediocre athlete into a champion, but poor food choices can turn a champion into a mediocre athlete”. 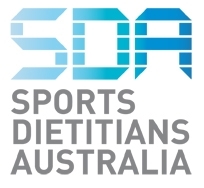 The International Olympic Committee (IOC) position stand is that “the use of supplements does not compensate for poor food choices and an inadequate diet”. Reinforcing this importance of food, researchers have found that athletes eating a diet rich in nitrates from vegetables (not supplements) for just 10 days were able to enhance their exercise performance, compared to when they were eating their usual diet. It is clear that active people would benefit most from consistently eating a nourishing whole foods diet, rich in a variety of whole foods. 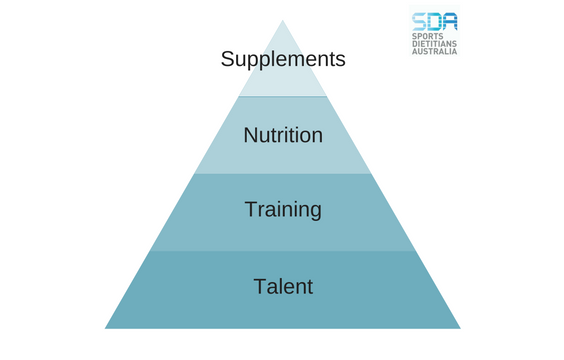 However, there may be situations where supplements may be beneficial to complement (not replace) a good quality diet and provide a suitable option for the very active – for example players who have very high energy needs and struggle to eat enough to meet their sports nutrition needs or travelling athletes who do not have access to their usual food preferences. For busy athletes, eating something—particularly in the recovery phase—is better than having nothing. While it is important to be careful not to double up your recovery nutrition needs and don’t dismiss whole foods in favour of sports supplements, the use of convenient prepackaged sports supplements may be helpful in achieving performance and sports nutrition goals. Cycling and running have become synonymous with a café culture that, for some, is the motivation for getting out the door in the first place. No matter what type of rider or runner, nutrition is a hot topic of conversation rife with some of the most entertaining myths, choices, and habits. No matter who you talk to, social to elite athletes all seem to dive towards food choices they consider to be high in protein, second to their coffee order, as post-training habits. What many don’t seem to have a grasp on is the portion size required to reach their protein needs, and the best ‘bang for buck’ items on café menus to achieve those needs. It’s true that post-training protein is important for muscle recovery after exercise. But so is carbohydrate, water, vitamins and minerals, and of course the most underestimated factor, portion size. The rule of thumb is to aim for 20-25g protein within the first hour of finishing training with the more serious athletes able to quote it off by heart. Ask them about carbohydrate, however, and you will find a mixed response from those who avoid to those who consume it without consciously knowing it. To help restore glycogen stores in the muscles a few ratio theories (carb:protein) exist to promote optimum recovery in the post-training hour window. They range from 2:1 up to 4:1. This means a range of carbohydrate from 40g – 80g. Depending on the intensity and duration of training, energy needs could be low to high and should be assessed for each individual. Advice that won’t change is to select nutritious foods, lower in fat and in particular saturated fat, that are high in both carbohydrate and protein. In the first hour post-training, quickly absorbed carbohydrates (or high GI) have been associated with good recovery strategies. * Granola recipes vary as much as opinions on carbohydrates in cycling circles. Ask if the granola used is low fat as many can add a significant amount more energy that you may not need. Most cafes serve eggs on Turkish or white toast but if the option exists, wholegrain/multigrain or a seeded bread is always the more nutritious option. The last thing to remember is spread on bread – ask to have it on the side and, where possible, go without or replace with avocado. If there are no options that will suit for recovery, simply have a regular coffee and have breakfast as soon as you get home.